Award winning author Laura Drake encourages others to never give up on themselves or their gifts by sharing an honest account of how she achieved her dream–and is still doing so. I am not an old soul. I am a klutz and a fairly slow learner. I bumble through life, making almost every mistake possible before finding the right way. People (most notably, my long-suffering parents) tried to explain things to me. But that’s apparently not how I learn. And I don’t think I’m alone. This used to make me feel like a failure. But it doesn’t anymore. 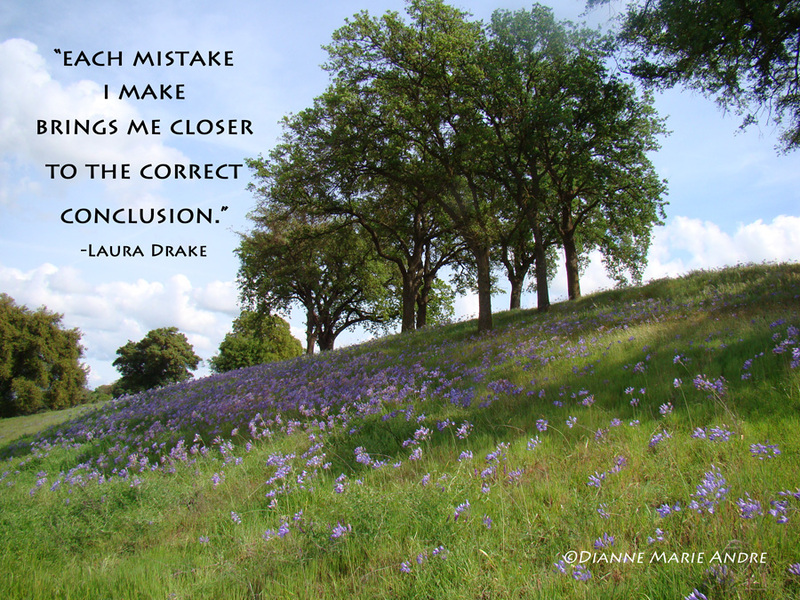 This entry was posted in Blog and tagged Author Laura Drake, dreams, inspritation, quotes, writing. Bookmark the permalink. Love the meme, Dianne! Thank you for sharing!